Ajay Rastogi And J.K. Ranka, JJ. J.K. Ranka, J. 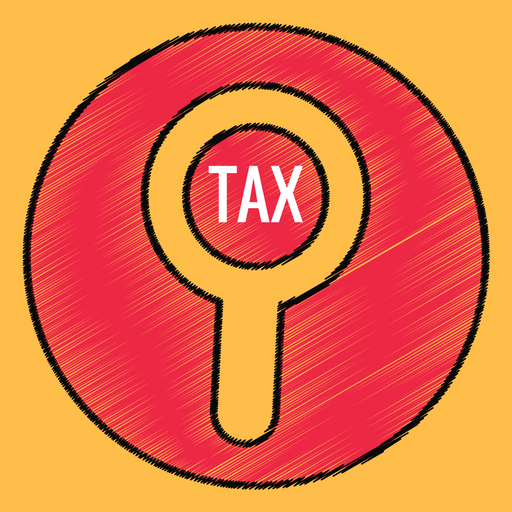 – These four appeals under Section 260-A of the Income Tax Act are directed against the order dated 4.4.2003 of the Income Tax Appellate Tribunal, Jaipur Bench, Jaipur. It pertains to block period 1.4.1988 to 23.3.1999. “1. Whether on the facts and in the circumstances of the case, the learned Tribunal was right and justified in holding that no legal search has taken place in the case of the assessee under Section 132(1), as specifically the name of the assessee was not mentioned in the search warrant and consequently assumption of jurisdiction under Section 158BC by the A.O. was bad in law? 2. Whether on the facts and in the circumstances of the case, the learned Tribunal was right and justified in coming to the conclusion that the word ‘family’ or ‘family members’ mentioned in the search warrant, do not cover wife and daughter of a person? 3. Whether on the facts and in the circumstances of the case, the learned Tribunal had power to adjudicate on the issue of jurisdiction of the A.O. under Section 158BD, when no such issue was decided by the CIT(A)? 2. Whether on the facts and in the circumstances of the case and in law, the I.T.A.T. was right and justified in upholding the order of C.I.T.(A) by which the entire search proceedings against the assessee was annulled and thus, providing a relief of Rs.41,25,500/- to the assessee? 3. Whether on the facts and in the circumstances of the case, the learned Tribunal was right and justified in coming to the conclusion that the word ‘family’ or ‘family members’ mentioned in the search warrant, do not cover wife and daughter of a person? 4. Whether on the facts and in the circumstances of the case, the learned Tribunal had power to adjudicate on the issue of jurisdiction of the A.O. Under Section 158BD, when no such issue was decided by the CIT(A)? 5. Whether on the facts and in the circumstances of the case, the learned Tribunal was right and justified in holding that CIT(A)’s direction, to the A.O., to initiate action under Section 158BD/147 was without authority and CIT(A) has no power to expand the jurisdiction of the A.O.? “1. Whether on the facts and in the circumstances of the case, the learned Tribunal was right and justified in holding that the CIT(A) had no power to expand the jurisdiction of the A.O. by directing him to take appropriate action under Section 158BD / Section 147 of the I.T. Act, 1961? 2. Whether on the facts and in the circumstances of the case and in law, the C.I.T(A) can direct the A.O. to initiate action against the assessee under Section 158BD/147 of the I.T. Act, 1961, when initially the action was taken under Section 158BC, by the Assessing Officer? 3. Since all the aforesaid appeals are admitted on more or less identical questions of law, for the sake of convenience and with the consent of parties, they are being decided by this common order. 4. The brief facts noticed for disposal of these appeals are that a search and seizure operation under Section 132(1) of the Act was carried out on 23.3.1999 and onwards in the case of O.P. Goyal, his two sons Anant Goyal and Sumant Goyal, at their residential premises situate at D-216 A, Bhaskar Marg, Bani Park, Jaipur, and during the course of search incriminating documents, cash, gold ornaments, FDRs, shares & debentures were found by the Authorised Officers and such material were seized and taken in possession by the Authorised Officers. A simultaneous search was carried out at Belgaon (Karnataka) by the DDIT (Investigation), in the case of Sumant Goyal who is reported to be residing there. The search concluded on 11.5.1999. It transpires that insofar as O.P. Goyal and Anant Goyal are concerned, who are the heads of the family and in whose case panchnama for search operation was drawn, have preferred to approach the Settlement Commission, New Delhi, in terms of provisions of Section 245-C of the Act, to settle their cases. On perusal of the Assessment Order, it is noticed that the present assessees happen to be the wife and daughter of Anant Goyal. 5. The AO issued notice under Section 158-BC of the Act requiring the assessees to file return of income for the block period 1.4.1989 to 23.3.2000. There appeared to be some error in the initial notice, therefore, revised notice was issued. However, both the assessees filed their returns under protest, for the block period declaring total undisclosed income at NIL, inter alia, contending before the AO that the provisions of Section 158-BC of the Act are inapplicable as there was no warrant of authorisation against the present assessee under Section 132(1), therefore, the notice itself was bad, and raised several other grounds. However, the AO held that the notice issued under Section 158-BC is lawful in the case of assessees as a search under Section 132(1) has been conducted in their case along with that of O.P. Goyal and Anant Goyal and family members and the AO was of the opinion that when the warrant states O.P. Goyal, Anant Goyal and family members and since the assessees are members of the family (wife and daughter), they are automatically covered by the authorisation and thus the AO was well justified in proceeding ahead in issuing the notice and to proceed ahead for assessment. Further proceedings culminated into enquiry, however, the AO despite of serious objections having been raised about jurisdiction and otherwise, proceeded to assess and accordingly passed the Assessment Order resulting into assessing undisclosed income in the case of Ms. Umlesh Goyal at Rs.58,83,500/- and in the case of Ms. Surbhi Goyal at Rs.41,25,500/-. 6. In appeals said Assessment Order was assailed before the Commissioner of Income Tax (Appeals). The CIT(A) called for Form No.45 which is a warrant and took into consideration the fact that it was simply mentioned as O.P. Goyal, Mrs. Goyal and family, AK, SK Goyal and later-on it was mentioned as O.P. Goyal and family, Anant Goyal and all family members, Sumant Goyal. The CIT(A) was satisfied with the explanation and contentions raised by the assessees and held that since the search warrant itself did not indicate names of the assessees specifically, the AO was precluded from proceeding ahead with the assessment of the assessees under Section 158-BC, and thus annulled the assessment made by the AO. 7. Dissatisfied with the annulling of the assessment, while the Revenue preferred appeal before the Tribunal, the assessees also preferred cross- objection. The Tribunal also went into the issue and upheld the finding of the CIT(A), who had annulled the assessment proceedings. 8. Learned counsel for the Revenue contended that the AO was well within its domain and had jurisdiction to have issued notice under Section 158-BC. Admittedly, O.P. Goyal, Anant Goyal & Sumant Goyal had moved before the Settlement Commission and indeed the AO could not have taken any action against them but when the warrant did mention to cover “family” that should normally mean the family members of O.P. Goyal, Anant Goyal & Sumant Goyal that includes their spouse and children under the warrant issued for authorising search and seizure operation. 9. Learned counsel further contended that the search resulted into undisclosed assets, investment in various immovable properties which were found unrecorded so also jewellery, cash, FDRs etc. and naturally the AO was within his rights to assess such undisclosed income at-least pertaining to the assessees and, therefore, the notice under Section 158-BC was just and proper. He contended that assessment could not have been annulled as has been done by the CIT(A) as well as upheld by the Tribunal. He further contended that before the CIT(A) as well as the Tribunal, the assessees did not produce any material that O.P. Goyal, Anant Goyal and Sumant Goyal including other sister concerns have approached before the Settlement Commission and the terms on which they proposed to settle their cases and only such matters where the assessees were found with undisclosed income, the AO proceeded to move ahead and framed assessment. He thus contended that the order of the Tribunal is required to be reversed. 10. Per contra, learned counsel for the assessee contended that search and seizure operation is a very serious matter and invades privacy of persons and unless there is a specific warrant of authorisation, the Revenue could not have proceeded to issue notice under Section 158-BC which was ab initio void and has rightly been annulled by the CIT(A) and upheld by the Tribunal. He contended that under the Act, “family” has not been defined but that does not mean that in search proceedings “family” would cover the assessees being wife and daughter. He also contended that under Section 158-BC the AO could not have proceeded ahead for the block period and contended that Section 158-BD was later-on introduced from 1.6.2002 to confer right on the AO under such circumstances, whereas the search being prior to 1.6.2002 it was not applicable and the AO could not have proceeded under Section 158-BC. He relied on ITO, Special Investigation Circle v. Seth Brothers and Others  74 ITR 836 (SC), and Pooran Mal v. Director of Inspection (Investigation), Income- Tax  93 ITR 505 (SC). 11. We have considered the arguments advanced by the learned counsel for parties and have perused the material on record including the impugned order. 13. On analysing the provisions of Section 132(1) read with Section 158-BC and 158-BD, while Section 132(1) authorises to carry out search and seizure operation where the Revenue comes into possession of information that an assessee may be evading tax or has reason to suspect that a person has money, bullion and jewellery and other valuable articles or things, books of account etc. which does not depict true income, then a search is necessitated or got conducted. 14. Search and seizure are drastic provisions and does not confer unbridled power to the Revenue Officer. The Revenue must have in consequence of information reason to believe that statutory conditions for the exercise of power to order search exist. The Competent Authority, namely the Commissioner or the Director of Inspection, is supposed to record reason for the belief. Search and seizure under Section 132 of the Act, have a serious invasion upon the right, privacy and freedom of tax payer, it presupposes that powers have to be exercised strictly in accordance with law and in fulfillment of the object & purport of the Act. 15. The right of privacy has been held to be fundamental rights of citizens being integral part of Art. 21 of the Constitution of India, and that citizen’s right of privacy is not likely to be disturbed. The power of search and seizure under the provisions of the Act should be exercised only when there is sufficient material in possession of the competent authority on the basis of which it can have reasons to believe that there had been assets which could not be disclosed for the purposes of assessment under the Act. 15.2 All the family members are separate assessable legal entities under the Act and in a case where search warrant has been issued in the name of O.P. Goyal and family, in our view it cannot be stretched to cover all the family members, namely spouse and children. It has to be in the name of specific person to initiate proceedings. 16.1 The Tribunal, in our view, has come to a correct conclusion that O.P. Goyal and family, Anant Goyal and family, all family members, Sumant Goyal, will not cover the assessees, namely Ms. Umlesh Goyal and Ms. Surbhi Goyal, wife and daughter of Anant Goyal, so as to confer issuance of notice under Section 158- BC, and the Revenue cannot even remotely, cover female members “in family” insofar as proceedings under Section 158-BC or Income-Tax Act is concerned though for all other purposes wife and daughter will always be part of family and would certainly cover them to be part of Shri O.P. Goyal or/and Shri Anant Goyal. Therefore, in our view the AO had no valid jurisdiction under Section 158-BC to have issued notice and then to proceed ahead in passing an order under Section 158-BC of the Act. We fail to appreciate the reasoning of the Revenue in extending the word “family” to cover all family members when all are distinct and separate entities. 16.2 We have reproduced Form No.45 dated 23.3.1999 (supra) which is a warrant of authorisation under Section 132 of the Act read with Rule 112(1) of the Income Tax Rules, and perusal of the warrant clearly shows that the names of Ms. Umlesh Goyal and Ms. Surbhi Goyal, has not been written in the warrant of authorisation. Thus, when names of the two assessees herein does not find mention in the warrant of authorisation, the AO has no jurisdiction to issue notice under Section 158-BC, and the issuance of notice was illegal and has rightly been annulled by the CIT(A) and confirmed by the Tribunal. 16.3 Since by the exercise of the power a serious invasion is made upon the rights, privacy and freedom of the taxpayer, the power must be exercised strictly in accordance with law and only for the purposes for which the law authorises it to be exercised. If the action of the officer issuing the authorisation or of the designated officer is challenged, the officer concerned must satisfy the court about the correctness of his action. Therefore, in our considered view a search under Section 132(1) has to be “person specific”. The Authority authorising search has to have information in his possession in respect of a person and such a person should be specifically named in search warrant and since names of the assessees having not figured in the authorisation of warrant as having been proved on the basis of Form 45 which has been reproduced by us in para 16 hereinbefore, the AO has exceeded its jurisdiction in issuing the notice under Section 158-BC and initiation of the proceedings being invalid, all subsequent action of A.O. including order of assessment is not sustainable in law. 16.4 We need not go into the issue about issuance of notice under Section 158-BD instead of Section 158-BC particularly in view of the fact that learned counsel for the Revenue fairly conceded that Section 158-BD was not in existence at the time when the search on 23.3.1999 was conducted and the same was inserted with effect from 1.6.2002. After at-least 1.6.2002 an AO does get a right to assess a person, if satisfied on the material found that undisclosed income belongs to any person other than even the person searched. 16.5 For the reasons assigned and our observation that when a search action under Section 132(1) has to be “person specific” & when admittedly the names of the present assessees did not figure in the warrant, we hold the AO had committed an apparent error to assess the assessees. Accordingly, we answer the question of law in favour of the assessee and against the Revenue, with no order as to costs. This entry was posted in Sec. 158BC, Section 132, Section 158 and tagged 387 ITR, bad in law, In favour of Assessee, Rajasthan High Court.